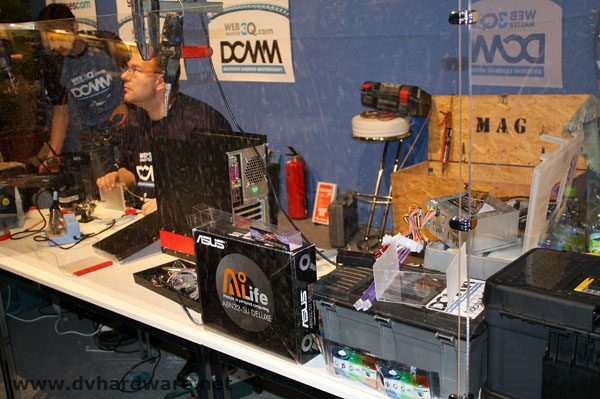 A lot of events were hosted at Gamescom in Cologne, including the Deutsche CaseMod Meisterschaft (DCMM) where dozens of modders presented their latest creations. From Wednesday to Friday there were live modding contests with four teams competing against each other, and on Saturday and Sunday about 60 mods were expected to be unveiled to the public. 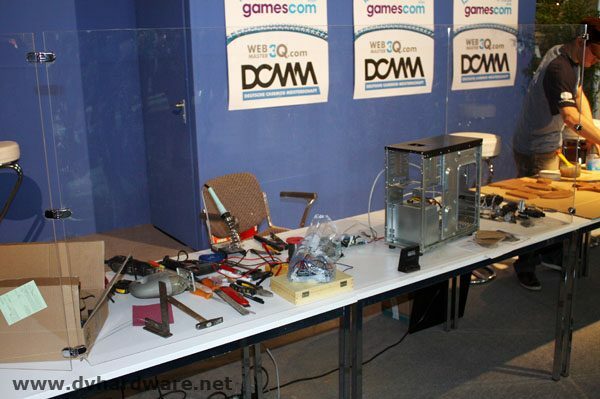 This year there were four categories in the DCMM: case modifications, custom case constructions, consumer electronics mods and the 24h live-modding-challenge. 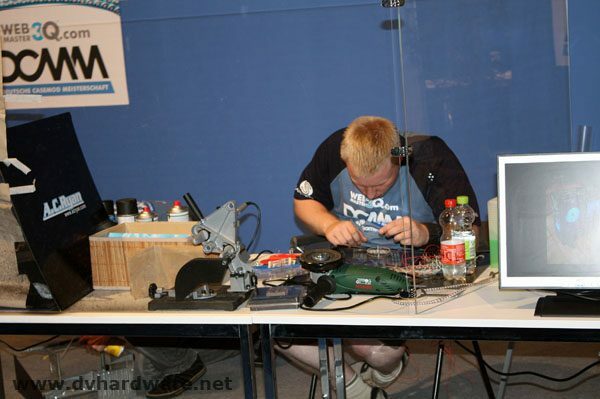 A professional jury decided which modders deserved the German modding championship title, and Gamescom visitors could vote for the most speculator German case mod. I was only present at Gamescom on Wednesday and Thursday, and unfortunately I missed a lot of great case mods that were presented during the weekend. 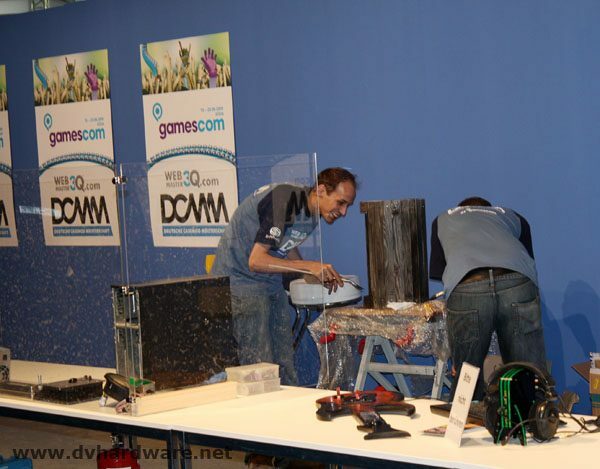 If you went to Gamescom and have photos of cases you'd like to see in this article please e-mail me. 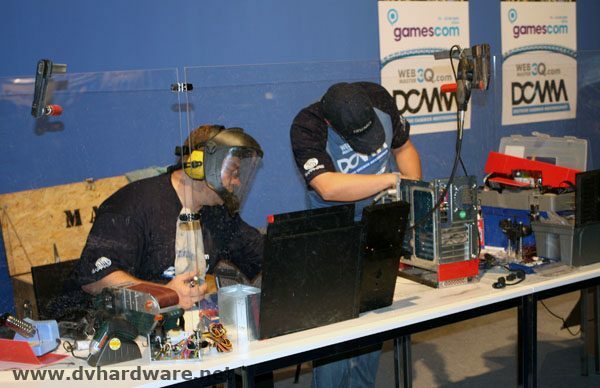 First some shots of the live modding contest, during the first three days of the fair up to four teams of two case modders battled against each other for up to eight hours to create the best case mod at Gamescom. Here are some random photos from Wednesday and Thursday.